GRASSI Museum, an impressive building complex in Art-Deco style, houses three museums of domestic and international significance: the Museum of Applied Art, the Museum of Ethnology and the Museum of Music instruments. At the centre of attraction in the three museums are their respective new feature of permanent exhibitions and alternating special exhibitions. The centerpiece of GRASSI Museum is the Art Deco column hall. The central exhibition and event hall designed in shining red-gold-blue remains unparalleled all over Europe. 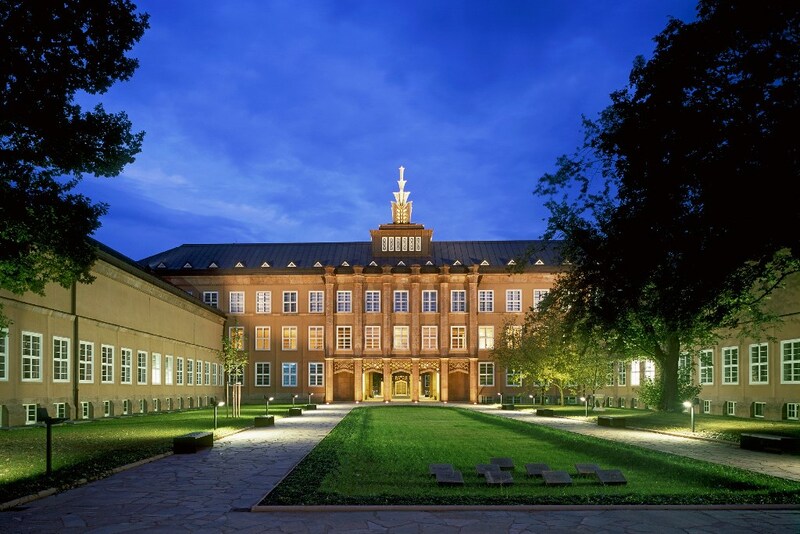 GRASSI Museum is seen as a place of culture and inspiration. Its vegetated inner courtyards, the old Johannis cemetery and the highly inviting Museum Café set the scene perfectly well for enjoying leisure times. Today, GRASSI Museum of Applied Art counts among the most significant of its type in Europe and stands out for a completely new permanent exhibition. The first tour “From Ancient times to Historism” is a call to a journey covering over 3,000 years of the history of art. Amongst others, the fascination in this journey is the Roman Hall, the Piranesi Gallery and precious Baroque Items of the Treasure Chamber. The second exhibition area “Asian art: Impulse for Europe” is above all else, dedicated to art treasures from China, Japan and Iran. In the third trip “From Art Nouveau to the present day”, there is a series of treasures from the period of Art Nouveau of known and unknown Bauhaus pieces, design highlights as from 1950, East German design and pieces from the immediate present. The textile collection at the GRASSI Museum of Applied Arts is one of the most extensive and significant collections of its kind. During the last third of the nineteenth century, the period in which the museum was founded and established, textiles had become an essential segment within the collections of applied arts museums. The Saxon textile industry was another major factor leading to the establishment of an extensive textile collection in the city of Leipzig. The collection includes woven fabrics, embroidery, carpets and other textile work created by using various techniques such as appliqué, print and batik dye. The range of textile art is immense and encompasses not only clothing and fashion but also areas such as interior design, textiles as picture carriers and contemporary art. 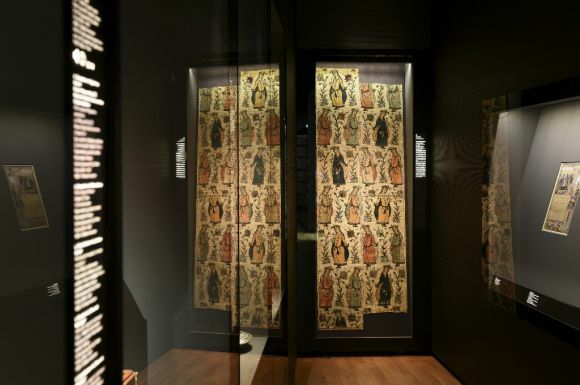 Non-European objects and historical textiles from Europe make up a major part of the collection. At the same time, thanks to the Grassifair, which is held annually, the museum has been able to steadily collect new textiles by current artists. This has culminated, amongst other things, in the collection’s extensive segment of wall hangings from the twentieth century. 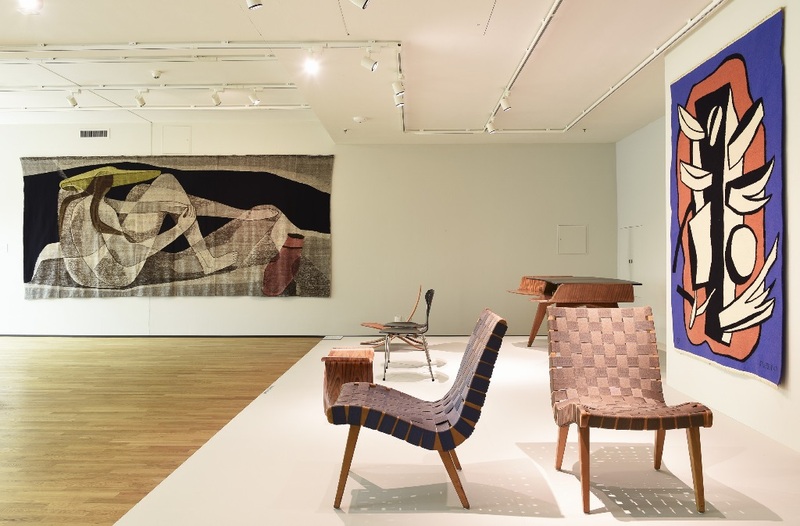 The museum has been expanding its collection annually and acquires new pieces by contemporary textile artists and fashion designers to this day.